Watch, learn & eat! 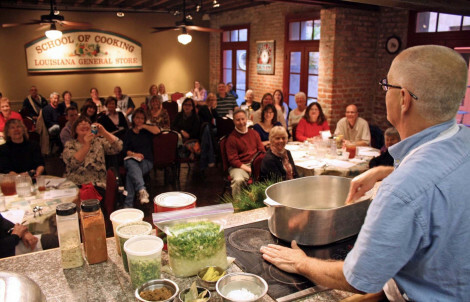 Sit back and enjoy watching our skilled, entertaining chefs prepare you a classic Cajun / Creole meal, while learning about the vibrant history of New Orleans cuisine! Cook & eat an authentic Louisiana meal! 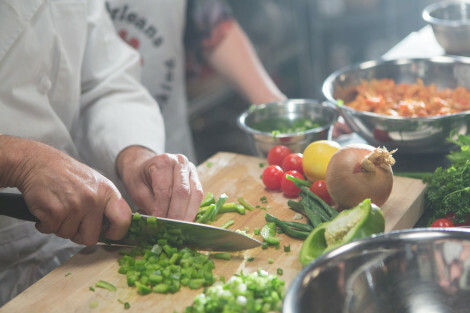 In this highly interactive class our guests actually cut, season and prepare a complete dinner with one of our expert chefs, and afterwards they are able to sit down and enjoy the meal they have just created.